Please click on the links below to download useful resources for the Watery Earth unit. Want an idea to reuse those plastic rotisserie chicken containers we all seem to gather? 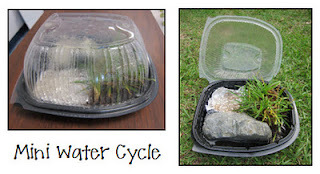 Have your students create a mini water cycle with them! See this link for details.